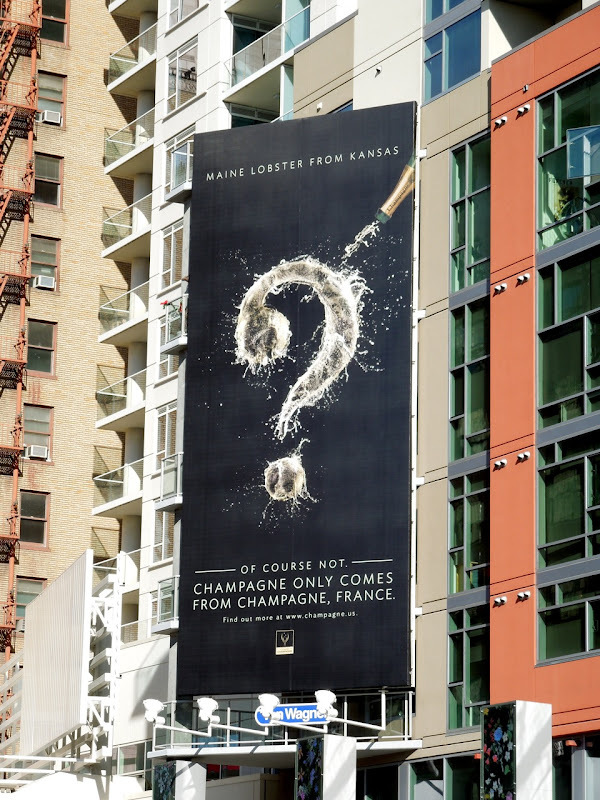 The final countdown to the New Year has begun and the question you should be asking yourself is not where you'll be celebrating the end of 2012 and the dawn of 2013, but more importantly where do your bubbles come from? 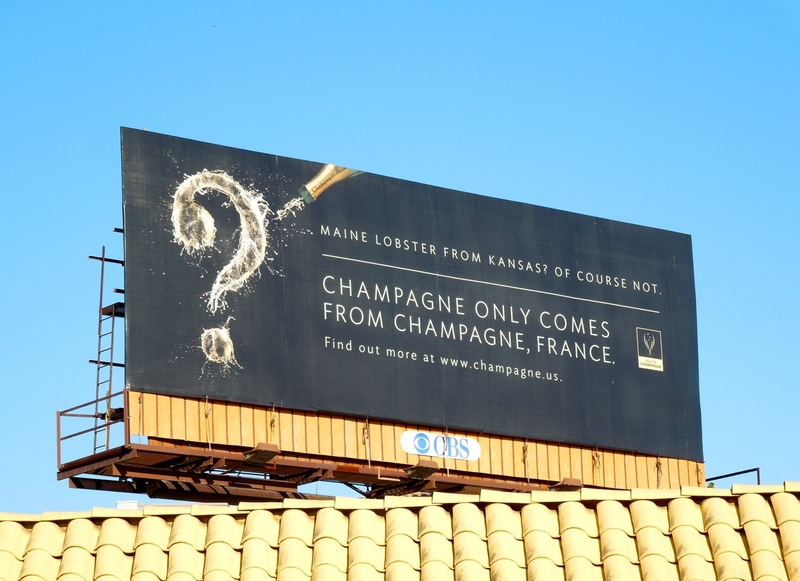 True champagne comes from the Champagne wine region in France, so don't be fooled this New Year's Eve with all those overpriced bottles of 'I-can't-believe-it's-not-champagne' and stick to the real thing for the best taste experience. 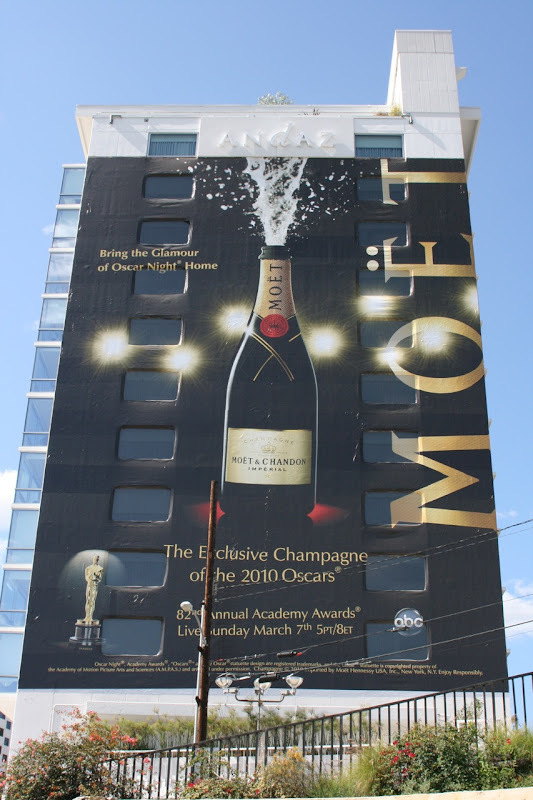 To help usher 2013 in style, enjoy these champagne billboards from this holiday season and also a giant blast from the past. 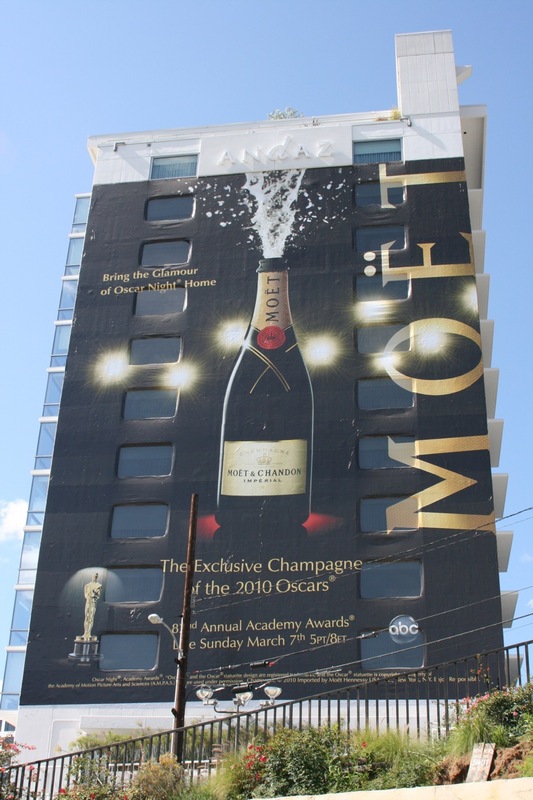 The super-sized Moet & Chandon Oscar billboard was snapped on the side of the Andaz Hotel in West Hollywood on March 4, 2010. 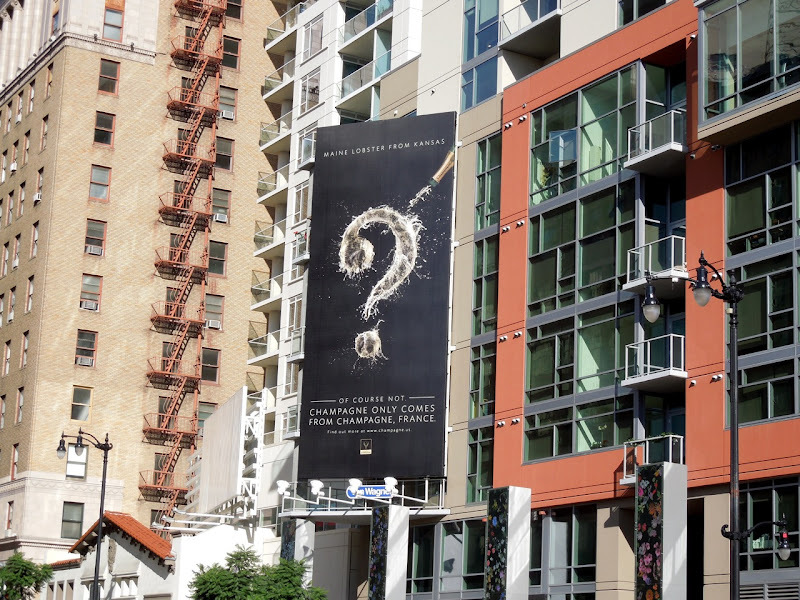 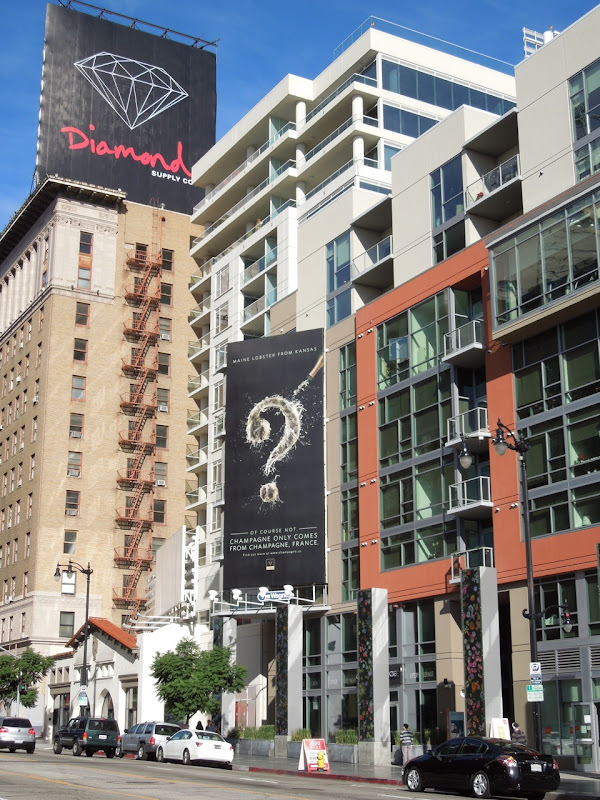 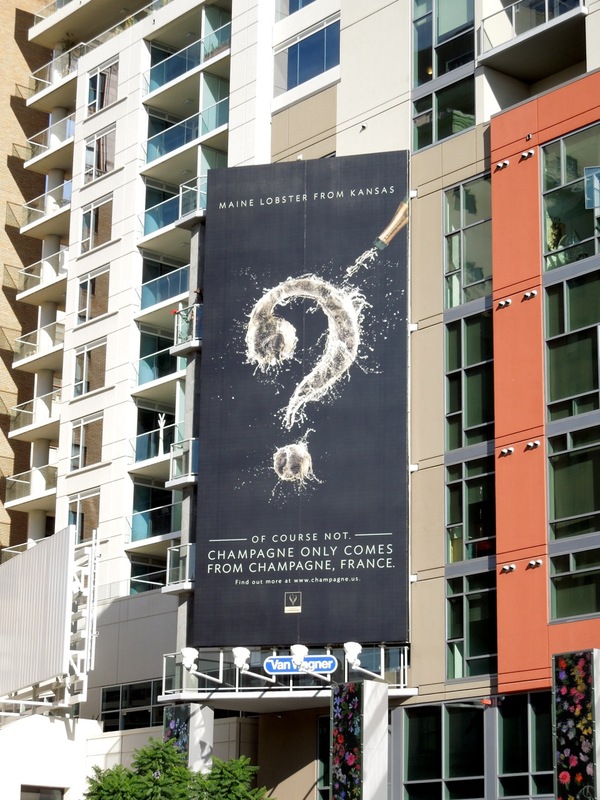 Meanwhile the 'question mark' champagne advocacy creative was spied along Vine Street in Hollywood on December 15, plus the landscape version was spotted along Santa Monica Boulevard in West Hollywood on December 29, 2012. 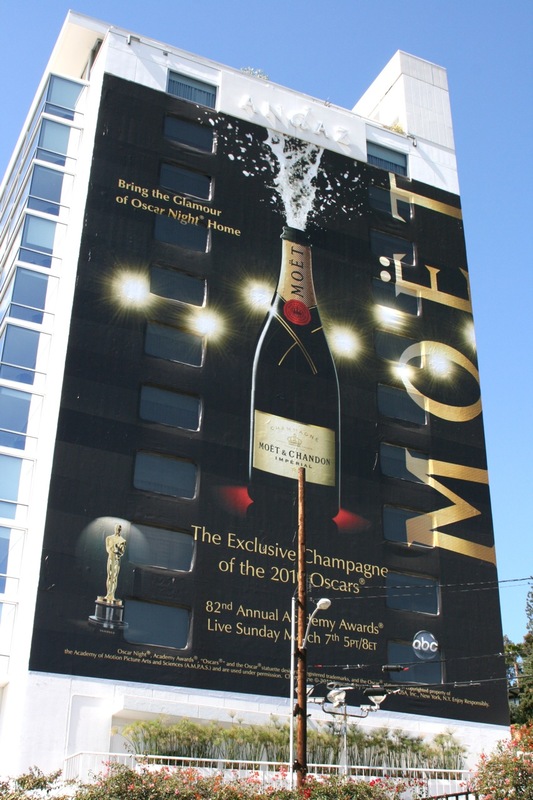 Daily Billboard hopes your New Year celebrations will have some sparkle whatever fizz you decide to drink.